Many people lean on essential oils to treat ailments from skin rashes to migraines but are they really safe? Often times, the answer is a qualified yes. 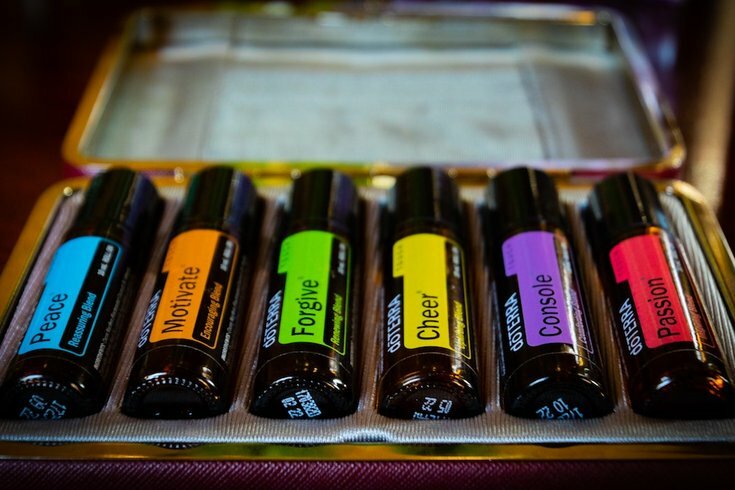 In various essential oil treatments the oils are applied topically on the skin either directly or via a carrier oil. But you definitely don't want to ingest these highly concentrated forms of herbs, fruits and plants. First, to give you an idea of the potent concentration of plant extracts in essential oils, 220 pounds of lavender flowers go into approximately one pound of lavender oil, according to the National Institute of Environmental Health Science. Sure, essential oils are generally recognized as safe for aromatherapy, but the National Capital Poison Control Center actually warns that essential oils could be poisonous if swallowed or absorbed through the skin. Because essential oils are not regulated by the Food and Drug Administration, it's hard to say what's actually in the oils. They could be mixed with contaminants that cause rashes on the skin or toxic effects if ingested, according to Poison Control. Plus certain essential oils — like lavender and tea tree — could interfere with other medications, Refinery29 reports. Interestingly, many medications are derived from flowers, but the flowers themselves can be deadly to eat. It is true that, according to MindBodyGreen, you can eat certain essential oils because when we eat plants, we have inherently consumed their essential oils as well. In that situation, the question then becomes one of potency, quantity, and quality of the oil. But there are certain ones you definitely don't want to swallow including arborvitae, birch, cedarwood, cypress, eucalyptus, white fir, and wintergreen.